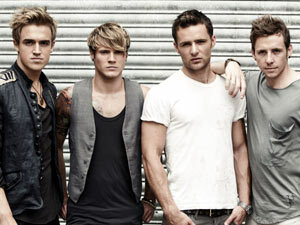 Mcfly have launched a Battle of the Bands competition to choose the opening act on each of the 26 dates of their new March/April 2012 tour. This tour will go to all corners of the UK and will go on sale on Saturday 26th November from www.livenation.co.uk (full dates below). The Battle of The Bands has been inspired by the annual competition run by US travelling Festival ‘Warped Tour’. McFly will pick the winners for each of the 26 dates from the top 50 bands voted for by fans.The huge competition that will be hosted on the band’s official website www.mcfly.com. All UK bands are eligible and entry is free by clicking on the Battle of the Bands logo on the home page. Bands need a photo and a youtube video (can be a promo or live video). Voting will start on the 1st October and will run until 12th Janurary. Voting is free and open to everyone with a Facebook account. Fans can vote for as many bands as they like but can only vote once for each band. McFly’s fifth studio album ‘Above The Noise’ was released to huge acclaim in November last year and spawned the band’s biggest single to date ‘Shine A Light’ which sold over 300,000 in the UK. A DVD filmed at the Wembley date of their UK Arena Tour earlier this year is due out early December from Island Records. McFly are currently writing for their 6th Studio album. Don’t miss one of your chance to catch one the most successful young bands up close and personal in a venue near you.